There is no Chateau de Triac Braastad review, be the first to comment. What Does 2015 Have In Store For The Cognac Industry? The story of Braastad commences in 1875, when Mederic Tiffon chose the southern banks of the Charente River in Jarnac to commence the start-up of his now world-famous cognac house. In 1899, a young man from Norway, Sverre Braastad, decided to follow his uncle to Cognac and found work with the house of Bisquit, working in export and sales. Sverre met and fell in love with Edith Rosseau, the daughter of Mederic Tiffon and they married in 1913. However, WWI saw Sverre Braastad unable to work at the family cognac house, so it was not until the war ended that he was able to leave his employment with Cognac Bisquit. In 1919, Sverre and Edith finally took charge of the family business and Braastad Cognac was born. In the 1940s the family acquired the Chateau de Triac and large vineyards in both the Grande Champagne and the Fins Bois cognac growing areas. The couple nurtured their brand, and had eight children along the way. When Sverre died in 1979 he did so content in knowing that both he and his family had had a profound effect on the world of cognac, and that his legacy would be continued by his children. He placed family members in leading positions in some of the most famous cognac houses worldwide, including Courvoisier, Delamain and Bisquit. He left his beloved cognac house in the capable hands of his family, and today, three generations on, the Braastad clan still produce their wares in the time honored traditions of old. The whole process of producing cognac is carried out at the family estate. From growing and tending the grapes through to the finished product, not a single step is completed without the say so of current cellar master Richard Braastad. At any one time he has around 13,000 casks of cognac in his care, from various terroirs and a multitude of ages. The cognac house remains firmly a family run affair, with Antoine Braastad heading the sales team and Jan Braastad as head of finance. 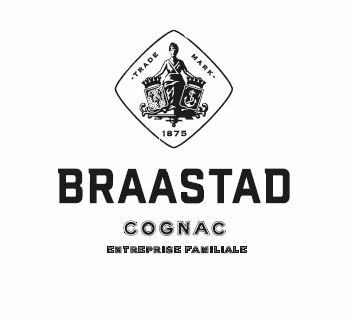 The brand is shipped to the four corners of the globe and is one of the largest family owned cognac houses in existence, producing a wide range of cognacs from a VS through to their flagship product, Braastad Chateau de Triac – Reserve de la Famille. The house of Braastad concentrates solely on producing cognac. Their oldest label is the Reserve de la Famille, produced from eaux-de-vie originating from the vineyards around the chateau and averaging around 50 years in age. Perhaps not unsurprisingly, cognac Braastad is highly thought of in Norway, with the family retaining strong ties to their roots. Braastad Cognac XO Superieur - Tres Vieille Réserve as well as XO Fine Champagne Extra Old received silver medals at the 2007 International Wine and Spirits Competition. It is possible to visit Cognac Braastad and the Chateau de Triac. To arrange a visit it’s necessary to pre-arrange, so ensure that you email or telephone Cognac Tiffon for further information and to make arrangements.